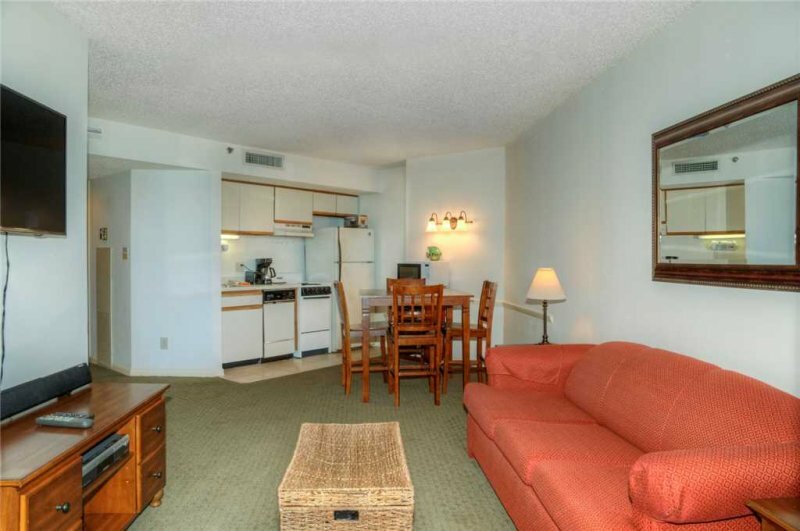 Ocean Forest 2003--This 1 bedroom condo has ocean views of the beach area. Located on the 20th floor. The master bedroom comes with 2 Double Beds and a flat screen television and also has a sleeper sofa in the living and dining area with flat screen television. 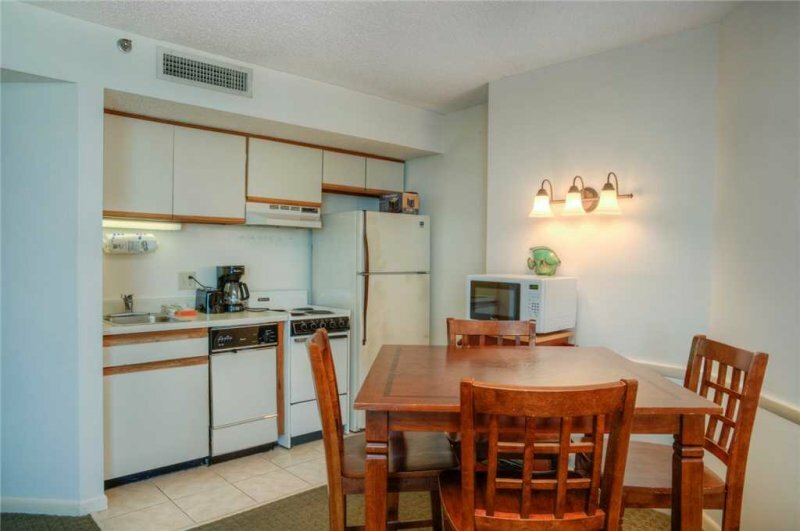 This condo also comes with a fully equipped kitchen. You will love the views on the balcony and being steps from the beach adds extra value!! Ocean Forest Plaza is located oceanfront in the exclusive Ocean Forest section of Myrtle Beach. Away from the crowds, but close to all area attractions, Ocean Forest Plaza makes the perfect destination for all ages. 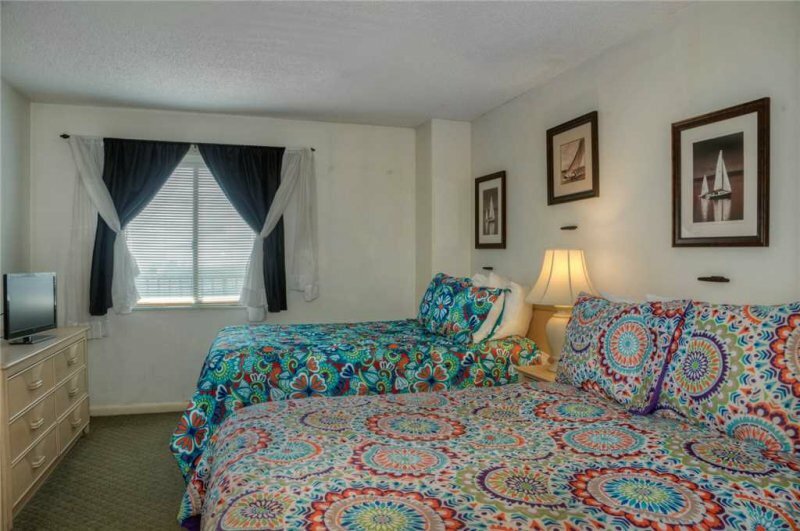 The resort features one-bedroom suites and two-bedroom penthouses. The combination of deluxe accommodations, outstanding location and excellent value for your vacation. 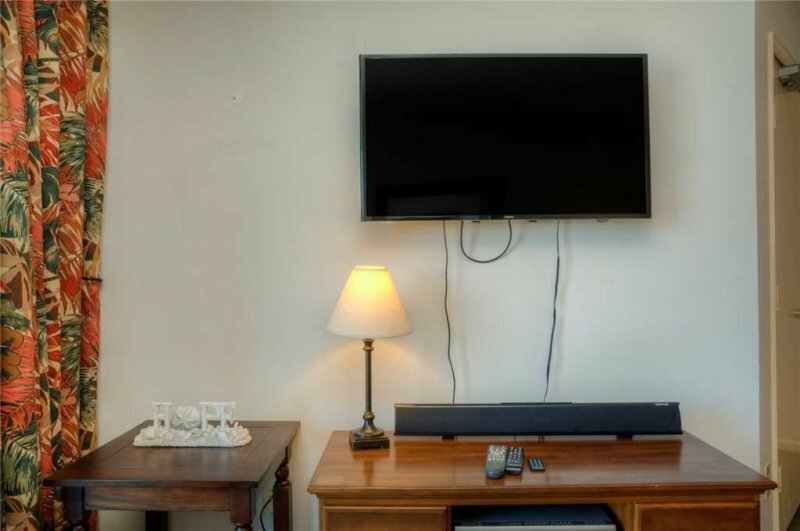 Full Kitchen Includes: Refrigerator, Stove, Microwave, Dishwasher, Coffee Maker, Toaster, Blender, Television, Non-Smoking Rooms/ Dining Table/ Balcony with Ocean Views, Free Internet. 125 Rooms / 23 Floors Built in 1985. Coin operated Laundry located on the 7th floor. Sprinkler in Rooms. Smoke Alarms in Rooms. Parking Garage. Indoor Pool and outdoor seasonal pool. 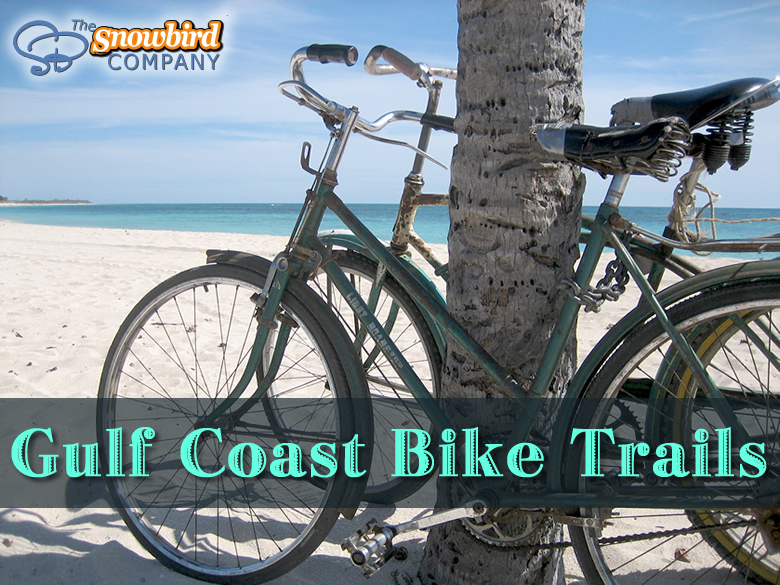 Vacation Equipment Rentals through Palmetto Vacation Rentals. Grocery delivery thru Lowe’s Food to Go. 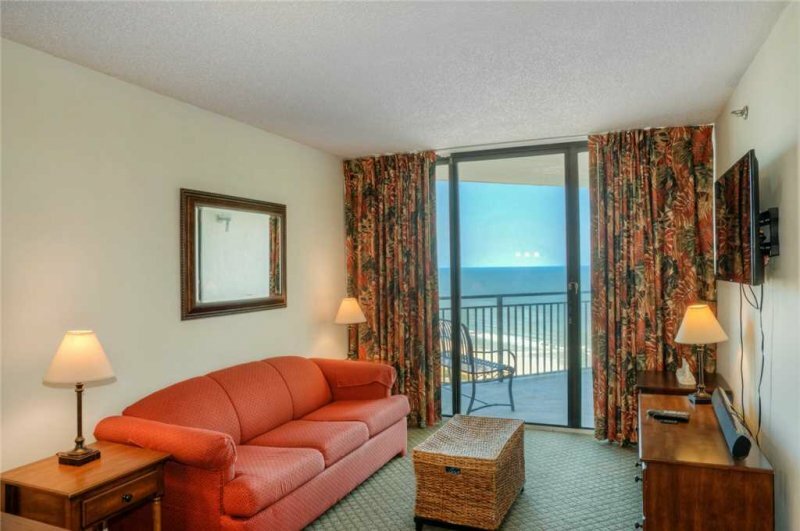 Description Ocean Forest 2003--This 1 bedroom condo has ocean views of the beach area. Located on the 20th floor. The master bedroom comes with 2 Double Beds and a flat screen television and also has a sleeper sofa in the living and dining area with flat screen television. 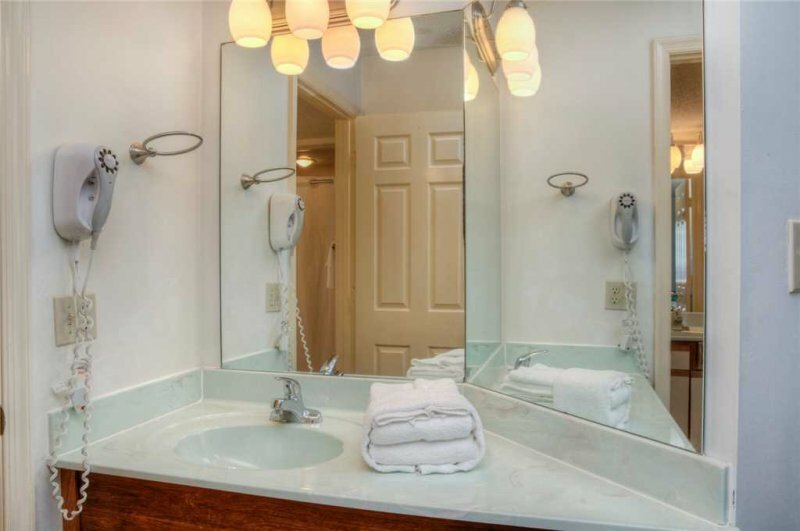 This condo also comes with a fully equipped kitchen. 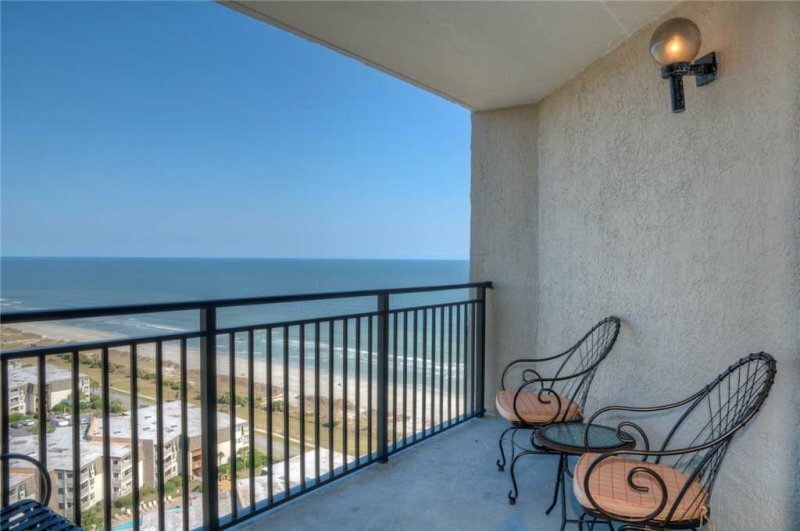 You will love the views on the balcony and being steps from the beach adds extra value!! 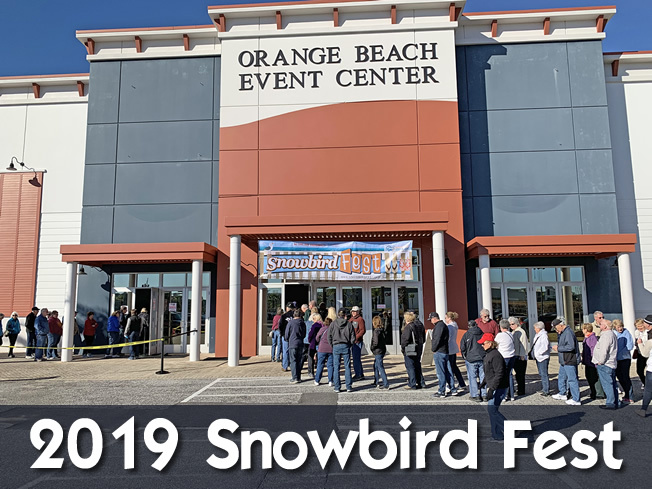 Ocean Forest Plaza is located oceanfront in the exclusive Ocean Forest section of Myrtle Beach. Away from the crowds, but close to all area attractions, Ocean Forest Plaza makes the perfect destination for all ages. The resort features one-bedroom suites and two-bedroom penthouses. The combination of deluxe accommodations, outstanding location and excellent value for your vacation. Room Amenities: Full Kitchen Includes: Refrigerator, Stove, Microwave, Dishwasher, Coffee Maker, Toaster, Blender, Television, Non-Smoking Rooms/ Dining Table/ Balcony with Ocean Views, Free Internet. Hotel Details: 125 Rooms / 23 Floors Built in 1985. Coin operated Laundry located on the 7th floor. Sprinkler in Rooms. Smoke Alarms in Rooms. Parking Garage. 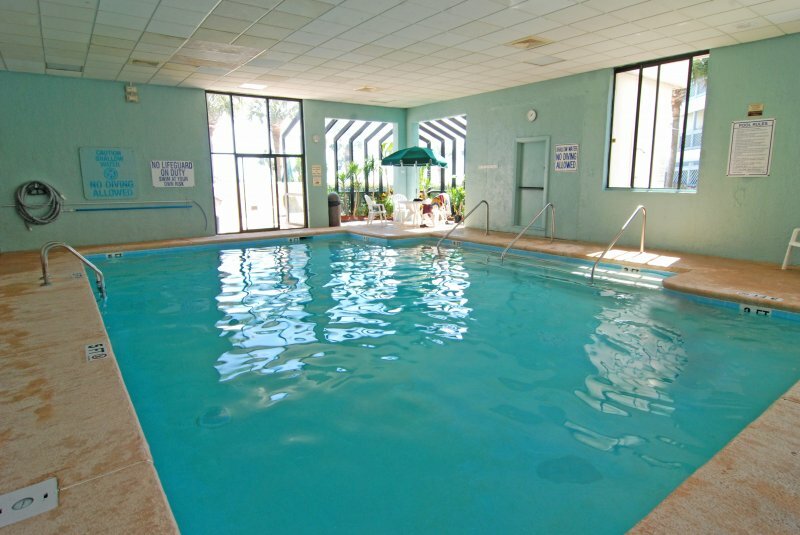 Indoor Pool and outdoor seasonal pool. 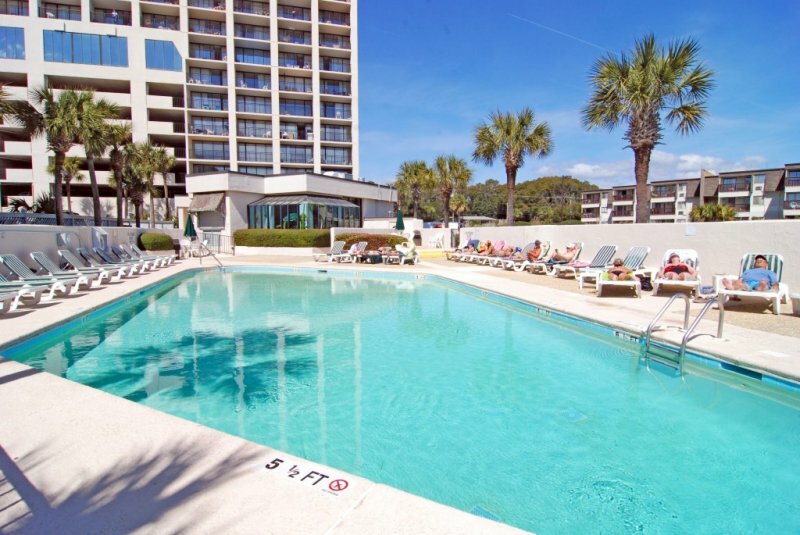 Vacation Equipment Rentals through Palmetto Vacation Rentals. Grocery delivery thru Lowe’s Food to Go. Queen Sleeper Sofa The master bedroom comes with 2 doubles and a flat screen television and also has a sleeper sofa in the living and dining area with flat screen television. This 2 bedroom Ocean View will not last long!! 2 Bedroom Condo with great Views!! 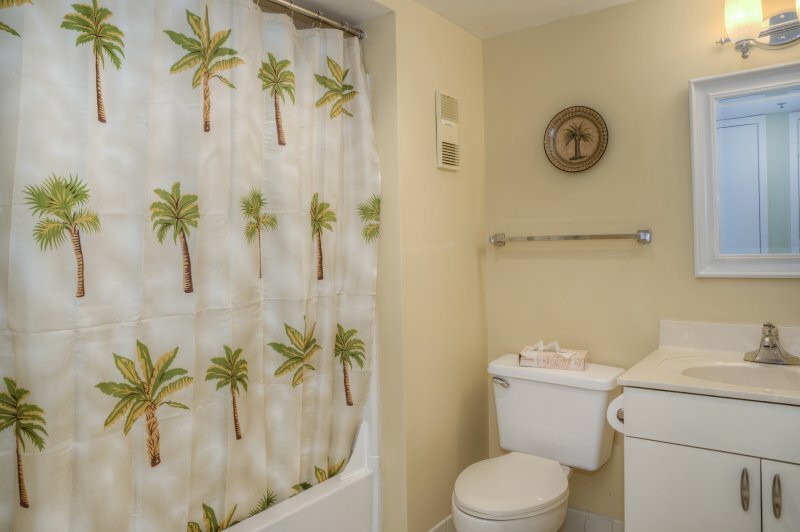 Ocean View Kingston 2BED/2BATH Beautiful Condo Just a Few Steps from the Beach!